Are you currently self-employed? Have you been able to create a business that provides for you and your family? If so, that’s great! I believe that in 2016 it is more important than ever to to be in control of your financial future, and I applaud everyone who is able to make that happen. Here’s the problem – many of us figure out to how to create profitable businesses with the goal of creating more freedom for ourselves, but we end up building jobs for ourselves. Jobs that are likely more demanding than those of our friends and family. Sure, as business owners we should be benefiting from higher salaries, but at what expense? Far too often do I see small business owners that over-worked and under-satisfied. Well, my friend Anton Kraly was actually on the path to being in this exact situation right out of college. He was looking into offline businesses, and his goal was actually to open a network of franchises that he could build up, work 80+ hours/week at, then eventually sell… you know – so that he could retire “young” and actually start enjoying all that life has to offer. Luckily for Anton, he was introduced to the world of eCommerce right around this time, and it literally changed the entire trajectory of his life’s plan. After almost a decade of success within this industry, he am sharing what he has learned with you as his way of giving back, and saving other people who want to escape the rat race (like you) from the far too common life of too much work and not enough free time. So, why eCommerce? More specially, why drop shipping? eCommerce is a huge industry, and it’s still growing like crazy. In fact, it’s expected to reach over $400 billion by 2017 in the USA alone! It’s important for me to note that when I refer to eCommerce, I am referring to selling physical products online. When I refer to drop shipping, I am referring to selling other people’s physical products online. I am talking about about having an online store from which your customers can buy, and then having OTHER people ship these items to your customers. That’s the beauty of drop shipping! Anton’s company, which has been in business since 2007, has built DOZENS of stores just like these. They design the sites, they make deals with the product suppliers, they get sales on websites, and their suppliers ship the items to their customers. They are basically authorized retailers for tens of thousands of products that they’ve never had to see or touch! And these stores have brought in well over $5 million dollars in sales for them! All while never having to see or pre-purchase ANY inventory. So why am I telling you all of this? No, it’s not to brag. It’s because you’re a small business owner, just like me. And even though you may not understand all the details of what it is that I’m talking about yet, I want to help you to. Like I said earlier, I almost got sucked into a life of the offline business grind, but I was lucky enough to find another way, and now I am sharing that way with you. If you’re looking for a new business model that can help you build an income, I would highly recommend drop shipping. If you can follow a proven system, it’s super easy to implement. Many of my students have gone on to make their first sales within a matter of weeks. You don’t have to be an expert (or have any experience at all, for that matter), when it comes to running an online business. The startup costs are extremely low. Anton started his first eCommerce business for $29 and it went on to do over $300,000 in sales his first year! You get to really be creative and make business decisions. Owning an eCommerce store is like owning an offline store (except with MUCH less overhead, and much more opportunity). You get to design it, you get to control it, you’re the boss! This is truly a “location independent” business. You don’t need an office, you don’t need employees, all you need is a laptop and Internet connection and you can run you business from wherever you want, whenever you want. 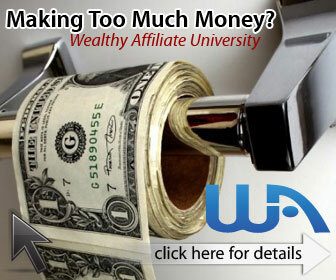 You are ultimately in control of your income. 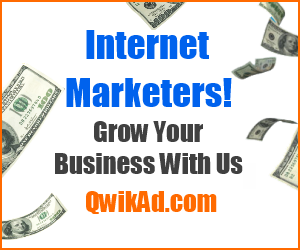 Want to make a couple thousand extra bucks per month? Then do this part-time. Want to build an empire and work towards getting a new Lamborghini? Then run with this business and scale, scale, scale! This business model allows you to develop your skills in sales, customer service, web design, marketing, and supplier relations. As you learn, you will become a better overall business man or woman. Anton, the creator of the Drop Ship Lifestyle course himself, is hosting a LIVE training to teach the fundamentals of Drop Shipping. It’s coming up soon, and I recommend you’re there for the training – I know I will be!